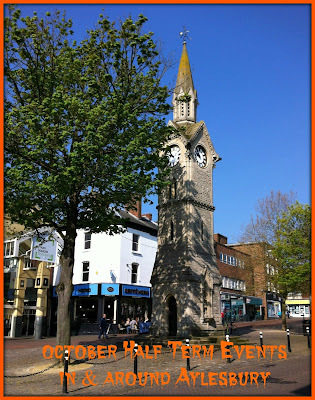 I have compiled a list of the activities and events going on in and around Aylesbury during the October Half Term holiday. Have a go at building your own den around a campfire with our Rangers in Black Park. Drinks and marshmallows are included. 'Go Batty' at the Farmers' Market with face painting and free pottery painting for kids. Treat your garden birds to a delicious apple feeder during this chilly season. Suitable for ages 5+. To find out more about this session, take a look at my review of the Messy Church from April and Messy Church review from May. Meet George, the Barn Owl, along with members of the Bucks Owl and Raptor Group, as part of Bucks County Museum’s Nature Detectives exhibition. A fantastic opportunity to discover more about Buckinghamshire's owls and birds of prey. Just drop in. Black Park has played host to many major film, TV and music productions. Join the Rangers for a walk around Black Park to look at some of the locations. Organised by Aylesbury Vale District Council, #AylesburyThursdays returns in half term with free bungee-bouncing brilliance and climbing wall capers. Organised by Aylesbury Town Council, enjoy an afternoon of free family Halloween fun and entertainment. There will be the very popular Panto-ween, chilling magic from local magician 'Simon Says', pumpkin (and other vegetable) carving demonstrations from local artist, Tim O’Sullivan, and the Spotlight Musical Theatre Group will be teaching and performing the classic Michael Jackson Thriller routine. There will also be Halloween themed crafts, games and activities to take part in, as well as a face painter. Prizes will be awarded for the best Halloween fancy dress costume and carved pumpkin. We went along to this event for some Spooktacular Halloween Fun last year. Hunt for creepy crawlies in Black Park with the help of the Rangers using a mini beast kit. Book an hour slot and meet at the Visitor Information Point. Crve a spooky pumpkin to take home for the Halloween weekend. Suitable for ages 5+. Celebrate on the eve of Halloween by taking part in a spooky treasure hunt around the Temple Gardens in Langley Park. Bring your carved pumpkin along to be judged and you may win a prize. Bring along your torch and set off on the trail for nocturnal creatures around the Museum. Fancy dress welcome. Suitable for ages 5+. Toddle Bop - an afternoon of ghastly games, freaky fun & devilish dancing; ideal for children aged 1 years and over. Groovy Night Disco - fancy dress competition, games; bar open for adults; ideal for children aged 5 years and over but all ages welcome. Tickets for both parties are limited. 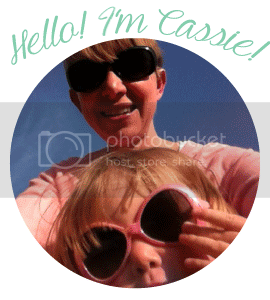 Cost: Toddle Bop - £5 (accompanying adults are free). Groovy Night Disco - £6.50 without food; £10 with food (toastie and nibbles). Go along and make creepy crafts this Halloween. You'll make witch & wizard wands, play games and toast marshmallows on the campfire. Meet at Black Park Play Area. Marshmallows and hot drinks included. Have a hoot this half term with an 'owlfully' good Halloween Trail, horrible Halloween games, pumpkin carving and undercover art and craft activities. Activities vary each day. Cost: Individual activity costs vary. Normal admission charges apply. Free admission for National Trust members. We did the Halloween Hoot Trail this weekend. A really great activity for little ones - highly recommended. The Big Draw is the world's biggest drawing festival. There will be some top tips for budding artists around the Museum. Explore the galleries to find clues on how to expertly draw the specimens. Free, suitable for all ages. Take a gentle journey of musical adventure through the magical Autumn Forest! Help conjure up a mystical spell of songs and rhyme to help find the Honey Pot Bear who has mysteriously vanished from his Honey Pot and been replaced by Bertie the Bat! Fancy Dress optional. Must pre-book and pay in advance - call 07948371615. Start the Halloween Trail from Your Cafe in the Park. Follow the pumpkins, collecting the clues. When you reach the end, unscramble the clues to win your prize - will it be a trick or a treat? Will you have the fright of your life? Join in a week of Halloween antics and creepy crafts. Take home your own witches hat, or perhaps a terrifying mask to scare your friends! There will be broomstick making on 30 October so you can obtain your broomstick license and take part in broomstick races. No need to book, just turn up and have fun! Cost: £2.50 per craft and £3.50 for broomstick activity. Follow the map and clues to find all the dinosaur facts hidden in Black Park. Family activities with a different creepy creature to make each day. No need to book. Hope you and your family have a great October half term, whatever you're up to! Thanks Tracey! Hope you have a great half term! that is sooo helpful! thanks! Glad it's helpful Deets! Have a great half term!